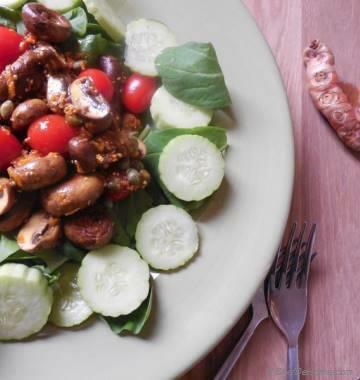 This is tale of two 'sides' – Guacamole and Sauteed Crimini Mushrooms. 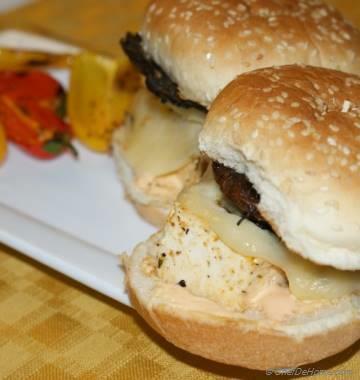 Once, the avocados were hiking with their best buddies lemons, chilies and onions. The cute Crimini mushrooms were growing near hill side. Guaca saw Crimins and asked, “You are so popular and in so good shape and I am so fat.” Crimini said, “No Guaca, you are not fat, in-fact, you have excellent mono-saturated fats and creamy tangy taste which everybody loves and adore for good health.” Guaca smiled and said, “But, I am just a side, how much can I do?” Crimini replied, "So am I. 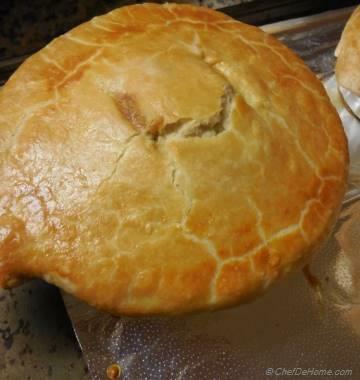 Let us get together and seek help of our dear friend ChefDeHome to convert us into a filling meal which will be source of good fats and healthy at the same time". 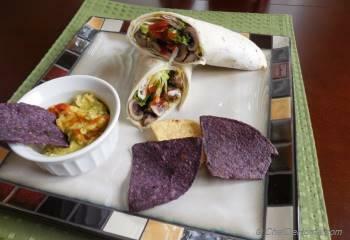 And then, ChefDeHome turned'em to a Creamy and Healthy Guaca-Mushroom lunch wrap & they spread health and joy ever after. Amen. So, this is how, excellent veggie wrap came into being. Enjoy!! 1. Make Guacamole - Dice white onion, add chopped green chilies, salt, lemon juice and avocado. mash it with back of a fork to make some fresh Guacamole. 2. 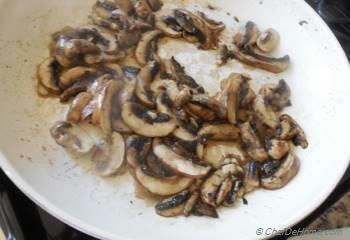 Saute Mushrooms - Heat oil in a pan, add mushrooms, salt and pepper and saute until mushrooms are tender (about 5-7 minutes). 3. 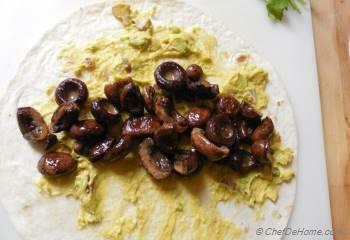 Wrap and Roll - Warm tortilla, layer 2-3 tbsp of guacamole and top it with half of the sauteed mushrooms. 4. 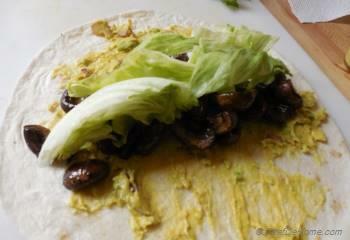 Wrap and Roll - Top it with lettuce or arugula, 1 tbsp of ketchup and roll to make a tight wrap. 5. 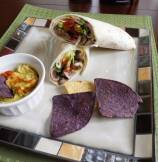 Serve - Serve immediately with side of tortilla chips and enjoy healthy and filling lunch wrap. thank you so much @Ritu! You know, I love it too! I am glad to see you around! You got a big smile on my face. very nice try!! 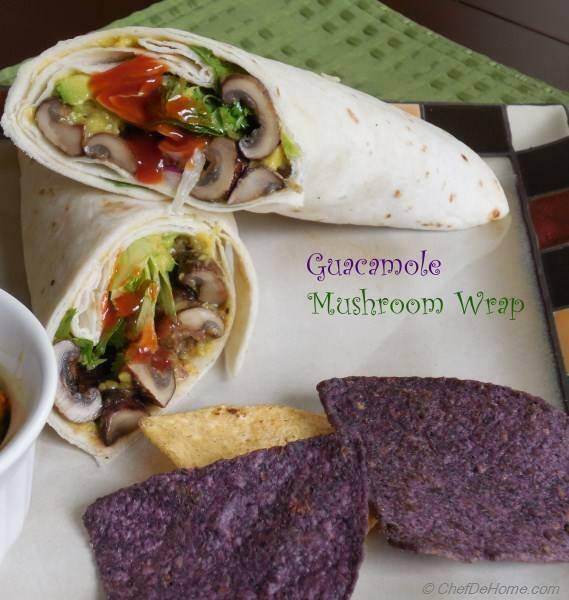 I love this wrap idea, can't wait to make it. Good way of conveying you point of healthy Lunch Wrap, I like it.